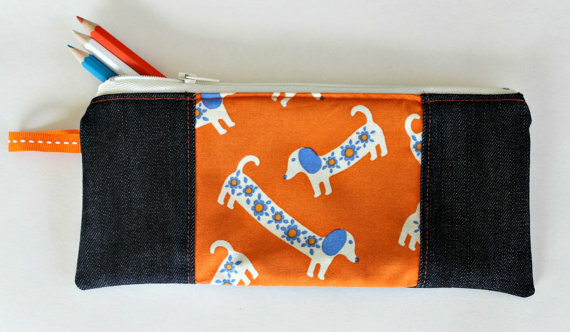 Sausage Dog Pencil Case by Sew Delicious - so cuuuuute! 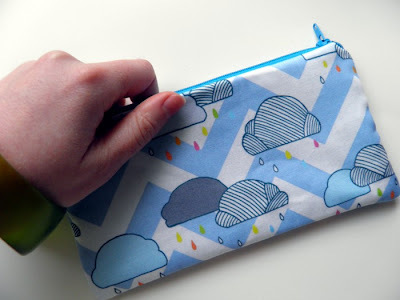 Chevron Stripe Rain Drop pencil case by Pocket Carnival - such a sweet design. 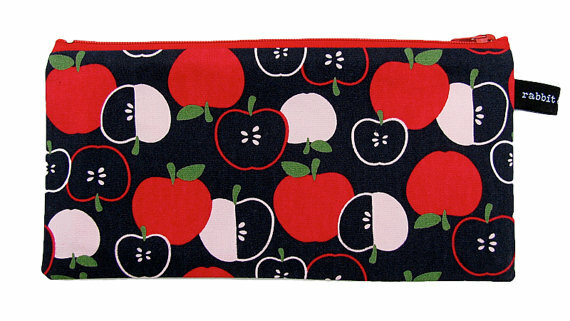 Retro Apple Pencil Case by Rabbit and the Duck. I love anything with apples on it. Anything. As I already have a ridiculous amount of pencil cases for one person I'm going to practice restraint here. But oh, it's hard. They're all so lovely!